This tour has been viewed over 37,000 times in 2 seasons, and is fun to watch. Click the image to see the tour. This is a large, complicated property. The tour shows the highlights and does not get bogged down into too much detail. 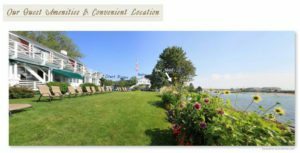 It has 8 room images (2 panoramic) and 7 general property images (2 panoramic) and several photos of the surrounding area, 30 images total. This is an extensive tour with 15 panoramas and 38 still images, a combination of 53 images. 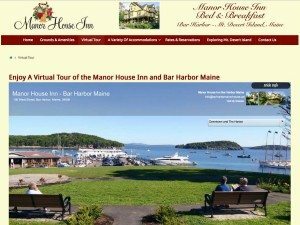 Most tours do not require this much imagery, but these clients wanted to show the entire inn, and they have 4 separate buildings with many different lodging options. They also wanted to show the features of Acadia National Park on the tour, which you see. Click the image to see the tour. They also produced a brochure with us using these same images. And Don’t Forget This Very Important Item: Trip Advisor, Expedia, Booking.com and other websites need high resolution, high quality images. 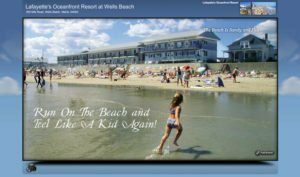 They all say that properties with the best images get the best results in bookings. We will make your images into high resolution that can be uploaded to all of these websites. Your ranking on the websites rises according to the quantity and quality of the images and information that you provide.